New Orleans has a long and storied past with coffee, at one time being one of the largest receiving ports in the country for the raw beans. Thanks to European immigrants, a taste for heady dark-roasted coffee, often flavored with bitter chicory, took root and steered Crescent City coffee culture for generations. Big steaming cups of café au lait paired with powdery beignets are, and will always be, an essentially New Orleanian treat. In the wake of the culinary revolution that flourished during the city’s revitalization, a new crop of coffee-obsessed individuals has set up shop. 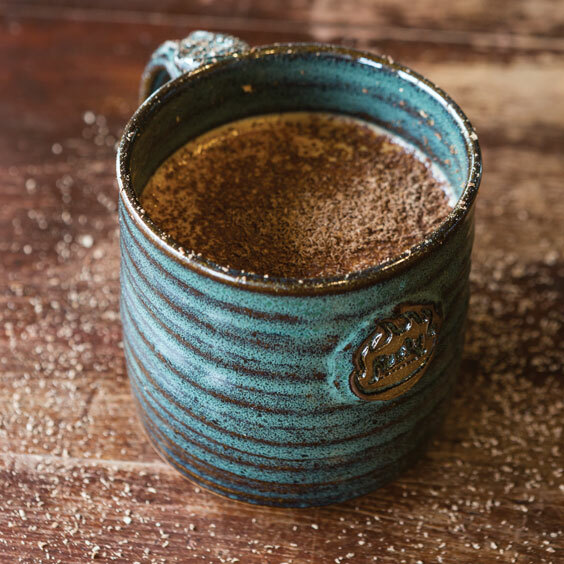 Now more than ever, from New Orleans to Lafayette, Baton Rouge to Shreveport and Monroe, coffee lovers can get their old familiar cup or try any of the small-batch craft-brewed versions from these top-notch purveyors. Coffee, though, is only part of the overall coffee culture. Coffee shops continue to act as gathering places for citizens to relax, share ideas, and commune over the energizing potion. 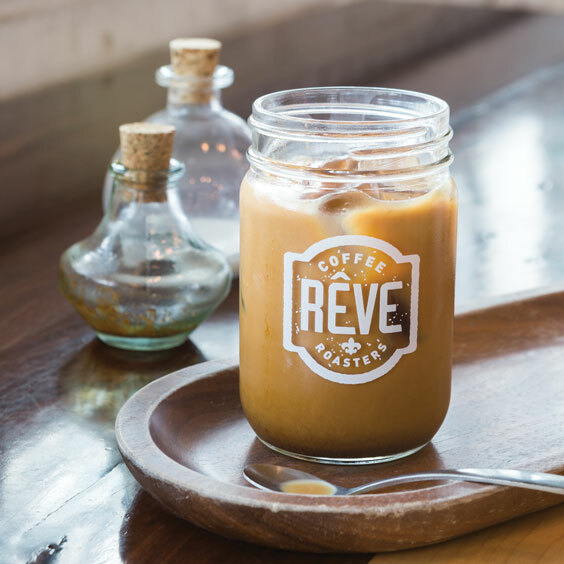 Coffee roasters/brewers Rêve Coffee Roasters in Lafayette, Rhino Coffee in Shreveport, and Roela Roaster in Monroe see the community aspect as an essential part of their mission. 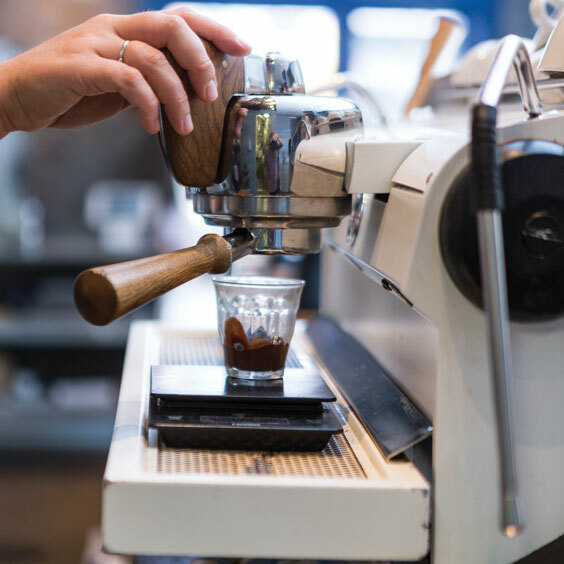 From quotidian drip to geeky pour-overs, espresso to 24-hour cold brews, Louisiana’s coffee shops have a lot to offer traditionalists and cutting-edge fanatics alike. 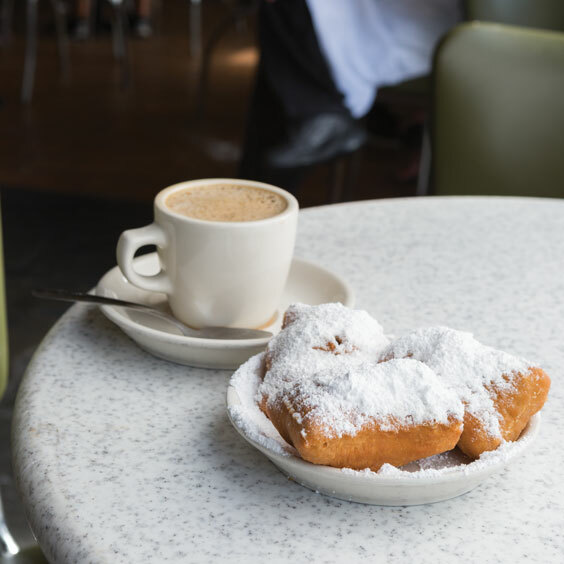 The French Quarter’s famous Café Du Monde may not serve nitro-infused cold brew or specialty pour-overs, but there are good reasons that its place has been cemented in the New Orleans coffee culture since 1862. The family-owned café—renowned for its fluffy, powdered beignets and eyeopening café au laits—has been with New Orleanians through thick and thin, serving its wares 24 hours a day, 364 days a year (they close on Christmas Day and for the occasional hurricane). New Orleanians’ taste for coffee with chicory (the bitter root of the endive plant) stretches back centuries. In Europe, the herb was added to coffee as a flavoring agent and dietary aid, and that custom traveled with the immigrants who would eventually settle in the Crescent City. Café Du Monde’s café au lait is a comforting and slightly bitter balance to their signature beignets, which come topped with a mountain of powdered sugar. The menu is centered around those items, but has grown in recent years to suit modern tastes—now iced and frozen versions of the café au lait delight customers on sultry days. Nestled on a side street in New Orleans’ quiet, residential Mid-City neighborhood, The Station serves up quality cups of joe and superb breakfast and lunch bites. The former gas station, dating from the 1930s, was renovated by Megan and Jonathan Walker and reopened earlier this year. “We like super geeky coffees, but that’s not the vibe here,” says Megan. The Station’s customers are largely made up of neighborhood residents, and many of them come with their dogs, who enjoy house-made dog treats while their owners linger over single-origin coffees and crafted blends from Revelator Coffee and New Orleans Coffee Exchange. The welcoming atmosphere encourages guests to stay for a while, chat, or play board games. And in addition to the café’s 40 seats, there are covered outdoor nooks to enjoy the still of a temperate morning. The coffee menu sticks largely to the classics, but some of the special items include Vietnamese iced coffee, house-made chai, and a subtly sweetened frozen coffee. The culinary options range from freshly squeezed fruit juices to traditional French kouign amann, and daily specials for sandwiches and Danishes (be on the lookout for the Bananas Foster Danish). 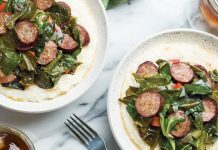 In the wake of Hurricane Katrina, friends Eliot Guthrie and Ian Barrilleaux saw New Orleans’ culinary scene quickly evolve as more and more talented chefs started serving dishes that challenged the status quo, and they set out to do the same with coffee at Congregation Coffee Roasters. 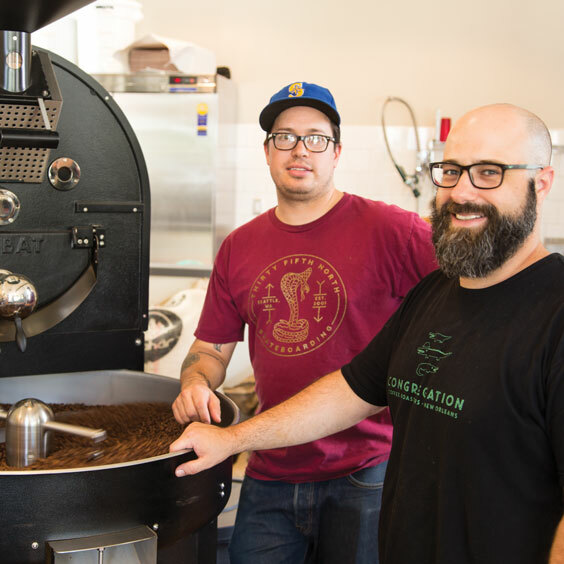 Starting in their garage with a tiny ¼-pound roaster, they learned how to coax the nuances out of coffee beans and began developing their style. Their airy, family-friendly café, located in an old corner store in Algiers Point, features classic coffee drinks, including a traditional steeped-milk café au lait, as well as pastries from Levee Baking Company, bread from La Boulangerie, and a selection of house-made savory items (think pork rillettes and baguette sandwiches). 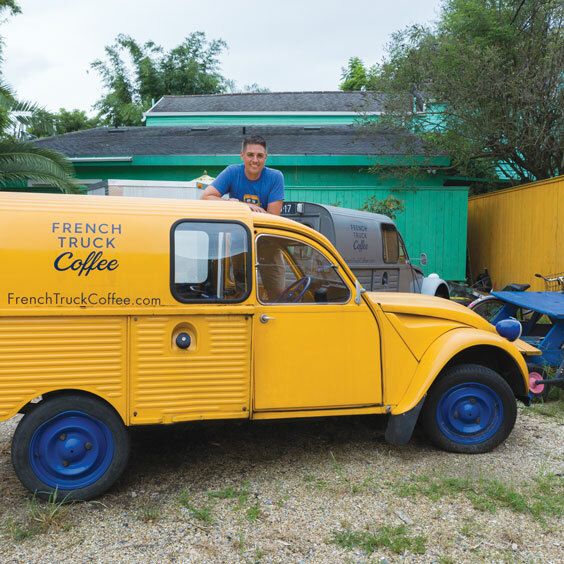 In the spring of 2012, Geoffrey Meeker began selling French Truck Coffee that he was roasting in small batches in his family’s laundry room. Within six months, he began to worry that the weight of the beans might cause structural damage to his house. Now, French Truck has grown into three sleek, colorful retail stores in New Orleans, two in Memphis, Tennessee, and one in Mid-City Baton Rouge. Geoffrey grew to love coffee while he was a chef in New Orleans, and wanted to bring the same attention to detail and conscientious sourcing to that craft. The coffee menu concentrates on espresso and pour-over, but French Truck is also rightly known for its cold brew concentrate, which is a chicory blend. 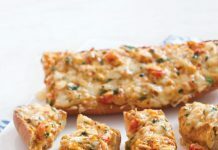 The French Quarter and Lower Garden District locations offer locally made pastries from Gracious, but the Uptown Dryades Street café offers a more extensive menu with breakfast items, sandwiches, and quiches. The best coffee shops do more than serve lattes and espressos; they act as a focal point for their community. That was the goal New Orleans-born, Ouachita-raised Byron Bailey had in mind when he opened Roela Roaster in Monroe. Byron approaches roasting and serving coffee as he treated savory dishes when he was a chef in New Orleans. Just like chefs work hard to source produce from the finest local vendors, Byron searches out the best single-origin specialty-grade beans he can find. The café offers a variety of pour-over options along with French press, espresso, and a nitroinfused cold brew. One of the bigger surprises for Byron was how his Voodoo coffee concentrate took off when he bottled a ready-to-drink version called Creola. When Andrew Crawford of Rhino Coffee moved back to his hometown of Shreveport, he was surprised to learn that there were no cozy, locally owned coffee shops. The coffee-loving web developer soon found a charming old house in the city’s Uptown neighborhood, and began transforming it into a warm and welcoming community hub. “We opened Rhino five years ago with the idea of serving good coffee and creating an atmosphere where people could come together, have meetings, chat, and feel welcome,” says Andrew. In that time, the business has expanded to a point where Andrew runs a sleek, industrial Downtown Shreveport location, a roastery, and a kiosk in a Bossier City tech-industry building. 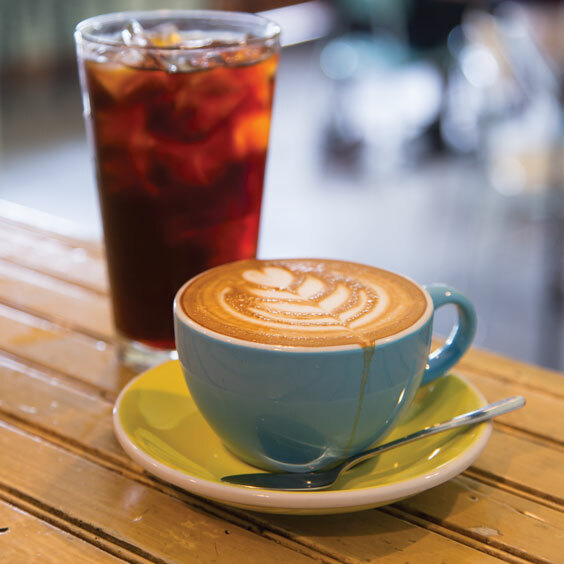 In addition to espresso and pour-over, some of the specialties at Rhino include the Iced Lightning (an energizing mix of cold brew, espresso, and drip coffee) and the Eastside Latte (mocha with vanilla and cinnamon). Rhino aficionados will find Rhino coffee service at a few local restaurants as well, including Wine Country Bistro, Parish Taceaux, and Well+Fed. For serious coffee drinkers, the sleek, modernist Revelator Coffee Company outpost in the Warehouse District on Tchoupitoulas Street is heaven. 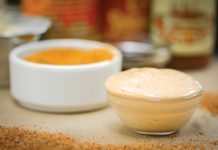 The company, which started in New Orleans and has quickly spread around the country, prides itself on serving small-batch coffees at the height of their flavor. When guests place their first order at the Revelator bar, they may be surprised by the ordering system. Rather than selling “lattes” or “cappuccinos,” the barista will ask how many ounces of espresso you’d like and what size cup. This ratio-based technique helps customers know exactly how much espresso they’ll receive and how much milk. Thankfully, friendly and knowledgeable baristas are always happy to lead customers through the process and make suggestions. In addition to whole beans, pastries, and a carefully curated selection of local wellness products, Revelator is also selling a canned, lightly carbonated cold brew coffee. These cold brew fizzes come in lemon, lime, cherry, and tangerine flavors, and are not to be missed. While some are drawn to coffee for its flavors and others for its lively jolt, still others are motivated by memories. The tradition of drinking coffee as a boy with his father encouraged Nathanael Johnson to launch a small coffee shop in his hometown of Eunice to share that passion with his neighbors. He then expanded to open Rêve Coffee Roasters in Downtown Lafayette. Nathanael dove headfirst into the world of specialty coffee, traveling extensively throughout California and the Pacific Northwest. His experience cemented in him the feeling that coffee roasters and shops act as a bridge between the farmer and the customer. “The beauty of coffee, and what makes it so intriguing, is that people from all walks of life can come together over a cup of coffee that has traveled all the way from farmers’ hands overseas,” says Nathanael. Now with six locations around Acadiana, Nathanael focuses on offering both traditional and modern coffee drinks. 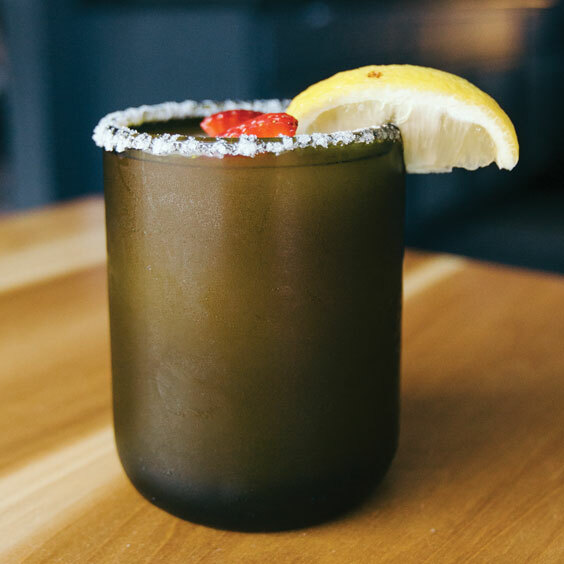 Some of the most intriguing include the Bourboneaux (whiskey barrel–aged cold brew coffee with house-made pecan syrup and orange zest) and the Voodoo (sweetened chicory coffee with cinnamon, honey, and nutmeg).